My third-graders are thick in the throes of a narrative unit. For them, this is often a chance to really polish up their storytelling skills, and a nice way to start off workshop in September. 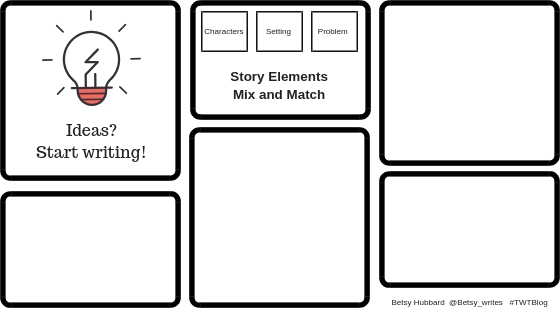 This year, as some students were jumping into new plans and drafts I noticed a handful of writers were starting with a story idea but then veering toward information type structures. 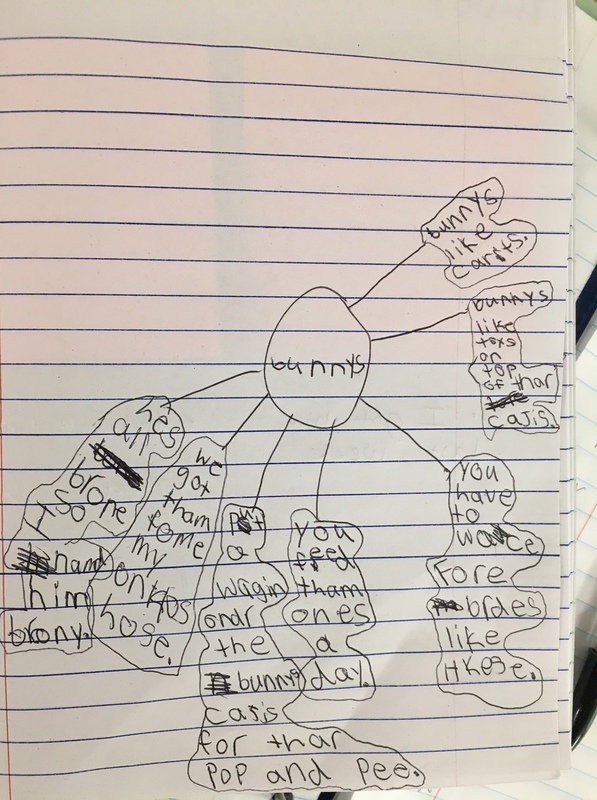 There are definitely times in the year when I ask kids to try merging genres to build unique elaboration but this wasn’t exactly what was happening here and I needed to figure out how to steer my writers without taking the wheel. I decided it was time to have a student co-teach with me and I chose Aiden to get us back on track with narrative pieces. We had recently drafted and re-drafted beginnings and leads, so I wanted to highlight this while also helping Aiden plan through his story so all the parts were present. Below is a picture of his initial plan. You can see where he began with the name of his bunny, taking the bunny home, and then it starts to look like a “How To” piece. He started with one intention but like many writers, began to think in different directions. 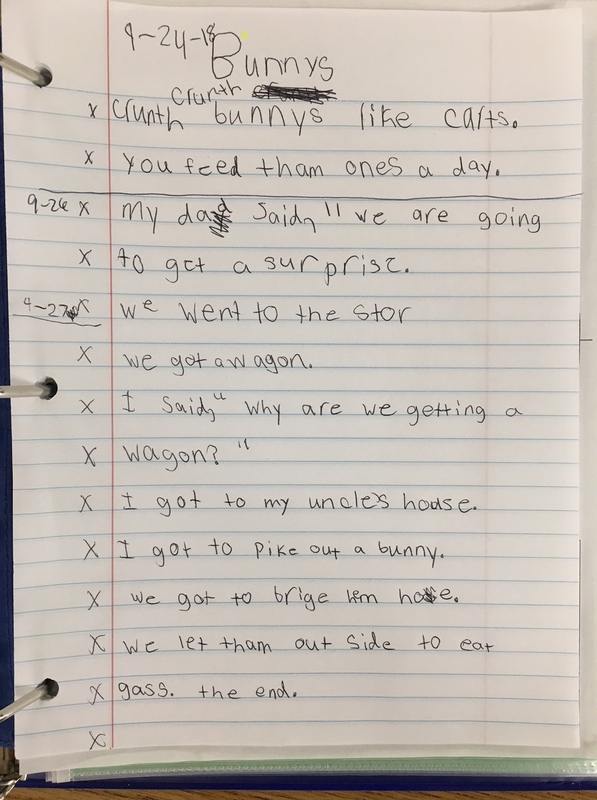 Here is the independent start of Aiden’s narrative titled Bunnies. I noticed he attempted to start with some sound words (kids love onomatopoeia) and something interesting to get his reader anticipating the rest of his piece. I told him his plan was a really detailed start for an information piece but I wondered if he could tell me a story about bunnies. There was definitely a story. It took some wait time and questions, but listening bit by bit encouraged him to tell me the whole tale of the time he got a bunny. Take a listen to the video of Aiden telling his bunny story. One of the important pieces to take away is initially Aiden told his story in a couple phrases. He would have likely written only those one or two sentences. He had a definite idea, but for him to really know the bits and pieces, he had to rehearse them, hear them repeated, and then push himself to remember and tell a bit more. Prompting, collecting, and rephrasing helps a writer hear their own story while they are telling it. We re-watched the video together, and he agreed to share the video with the class. I asked him if he thought we could all work together on his plan as a group. This would not only model several of the planning methods students had learned already, but it would also be another chance to rehearse the story again for Aiden before he went off to draft. As a class, we decided to choose a beginning, middle, end structure. 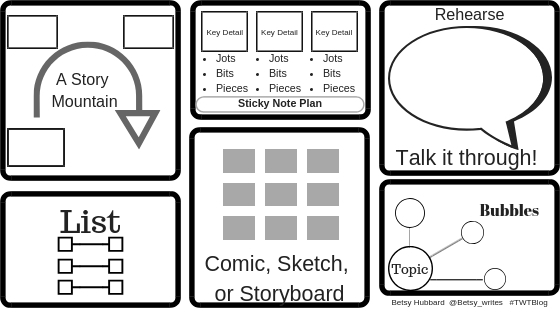 Here is a peek at the planning menu I’ve given students to keep in their planning notebooks this year. It has blank spaces for planning ideas they come up with on their own. Aiden worked on rewriting his plan and the next day he got busy on his draft. What may likely have been a couple of sentences was a whole story with room for lots of craft and elaboration to come. Aiden is ready to launch into some real revision and tell the story of Brownie, his cute little brown bunny. He will be able to come back to this video to follow along through his story to see what parts he missed in the draft adding in the missing bits and pieces. I was so excited to find this blog. I love teaching writing, and we, in my opinion, have a lack of it in my county’s curriculum, so I have to fir it in whenever I can. I like to incorporate creative writing as extensions, and I run into similar issues that were described above. My students start off with a good idea, but then they seem to get lost along the way. They either go off into some type of tangent, and the story no longer makes sense or they have a beginning to the story, but then no middle or ending. Reading this post made me think about the possibility of holding discussions with my students about their stories before they begin writing their outlines and drafting them. I think that having the students verbalize their thoughts may help them to get them on paper. In addition, I think that asking them some probing questions will help them to keep their stories on track. 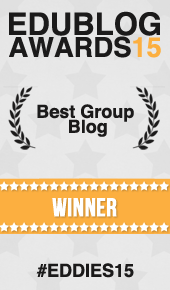 This blog post makes me happy, Betsy! As the mom of a kid who needs lots of oral rehearsal (Wonder who helped me understand that? Oh… you! ), I often use audio and video recordings at home to help Isabelle elaborate on her thinking and get the story out in an organized manner. How wonderful for Aiden that he had a teacher (YOU!) 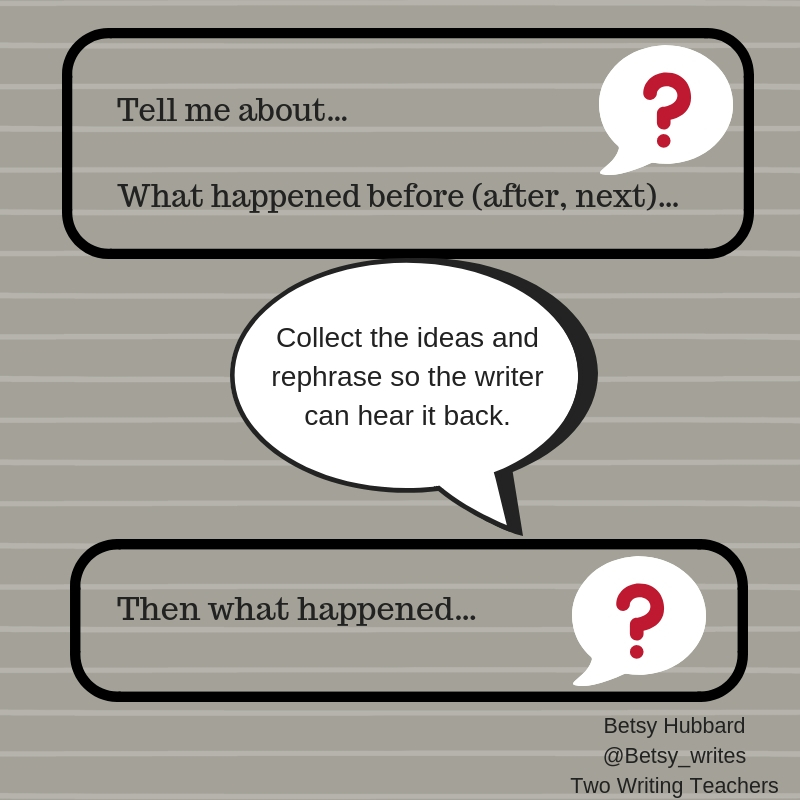 give him lean prompts and classmates who helped him further shape the structure of his story. My third graders have been in the depths of personal narratives. We’ve done a lot of work around small moments, retelling/storytelling, revising, getting to the “heart of their story.” There are a couple of students that are writing in ways that make me think of them “trying on” graphic novel- style of writing. I’m a little lost with knowing where to go next when conferring. I want to nudge this student to think about her small moment, but not sure how to talk about her story, keeping it positive and keeping her voice in it, not mine. I’d love to show an excerpt from the story, but unable to post that.